During the 32nd session of the UN Human Rights Council [13 June - 1 July 2016, Geneva], Vanuatu and Solomon Islands harshly accused Indonesia of closing an eye on human rights violations in West Papua. 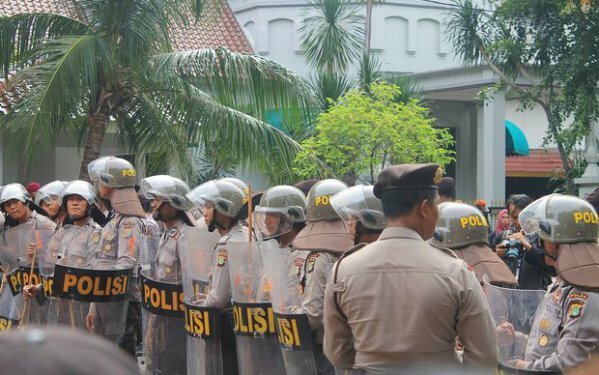 The Indonesian government responded with indignation, stating to the contrary that it is aware of its shortcomings and that it is committed to the promotion and respect of human rights, and added that the two countries should improve their own internal human rights and corruption issues before taking the floor. Indonesia has strongly rejected statements about West Papua by Vanuatu and Solomon Islands at the UN Human Rights Council session last week. Delegates of the two Pacific Islands' countries accused Indonesia of failing to prevent ongoing human rights abuses against West Papuans. But Indonesia's delegate at the session, Michael Tene, said Vanuatu and Solomon Islands' statements showed a lack of understanding of Papua. He said they were politically motivated in support of separatist groups which incite public disorder and terrorist attacks against civilians and security personnel. Indonesia as a democratic country is committed to promoting and protecting human rights, including by taking necessary steps to address the allegations of human rights violations and abuses in Papua. No one is perfect. We are always open to have dialogue on human rights issues, but we reject politicisation of these issues. We deplore the way Solomon Islands and Vanuatu have abused this council and the universal principles of the promotion and protection of human rights by supporting the cause of separatism. He has described Vanuatu and Solomon Islands as being far from perfect on protection of human rights. He said the two countries still face serious human rights problems, have rampant corruption in all segments of society and government, human trafficking, mistreatment of children and daily abuse of women. "It would be for the betterment of their populations if the governments of Solomon Islands and Vanuatu give attention and priority to seriously address their respective own domestic human rights shortcomings." Furthermore, Mustika Hanum, the third secretary at Indonesia's Permanent Mission, expanded on her country's concerns about domestic violence in Solomon Islands.